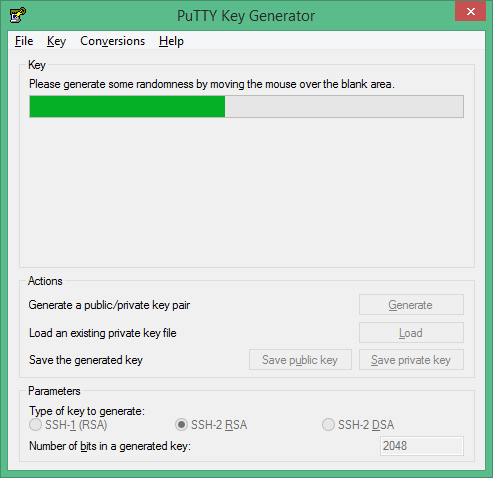 Download and install PuTTY or PuTTYgen from here. 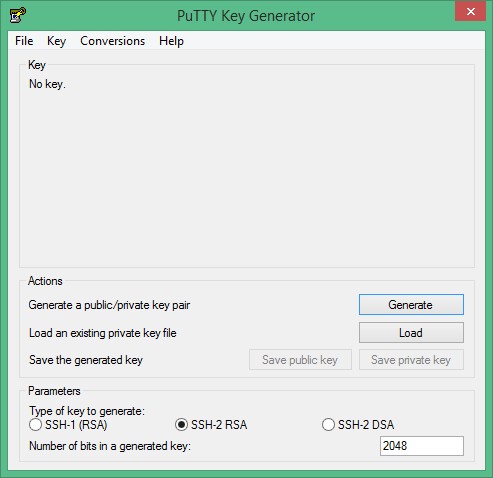 Set the Type of key to generate option to SSH-2 RSA. In the Number of bits in a generated key box, enter 2048. Select all of the characters in the Public key for pasting into OpenSSH authorized_keys file box and copy it. Open a text editor and paste the characters, just as you copied them. Save the text file in the same folder where you saved the private key, using the .pub extension to indicate that the file contains a public key.